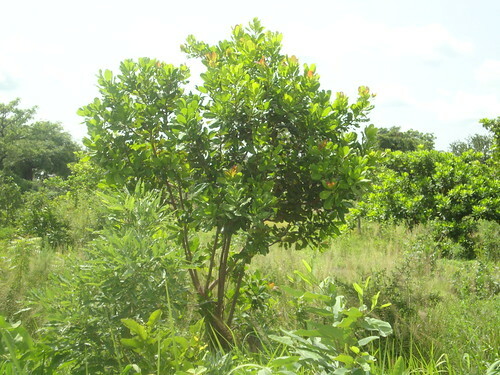 The Evangelical Presbyterian Church of Ghana has sent ARC the first photos of an ambitious programme to plant two million trees around the country and train communities and fire fighters to nurture and protect them. The programme was first detailed in its seven year plan launched at Windsor Castle in November 2009 and is designed both to help poor communities meet their livelihood needs and to restore degraded savannah. Around 100,000 seedlings are to be planted in community woodlots. Villagers are harvesting trees planted in sustainable woodlots for fuel - this practice will alleviate the pressure of removing trees from natural forests. The Church also offers training in the manufacture of energy efficient stoves, so in future less wood will be required, and is also training 200 fire-fighter volunteers who will learn how to stop forest fires in replanted areas.